The explosive growth of mobile and sensor technologies is driving a sweeping wave of transformation towards improving the mobility and safety of today’s transportation. Enabling technologies, such GPS, mobile phone, and V2X, allow low-latency measurements of individual vehicle characteristics (such as second-by-second speeds, accelerations, directions, destinations, etc.) and vehicle control, which presents unprecedented opportunities for transportation agencies and location-based service organizations to learn travel behavior, and thus interact and engage with their users. Ultimately, technologies have great potential to design ITS that improve system performance and users’ quality of life. Cranberry Township is a Progressive Municipality that works to maintain traffic efficiency on its transportation networks. Cranberry Township’s unique geographical location at the junction of Interstates 79 and 376 (PA Turnpike) can pose interesting challenges in coordinated operations. Together we are proposing to incorporate real time data inputs monitored from both social media and sensors from these limited access highways to trigger predictions of traffic delays. These predictions could then be directed to several directives, such as dynamic message boards, smart phone applications, social media and text messages, to alert the public of the anticipated delay. Those predictions also alert the Cranberry traffic system of the issue to allow for adjustments to the operating traffic plan on the real-time basis. We propose an approach that utilizes processed probe request log dataset collected through Wi-Fi network for occupancy estimation and HVAC system control. Occupancy detection approaches are explored and compared to illustrate that the WiFibased approach fit the requirements of HVAC controls. 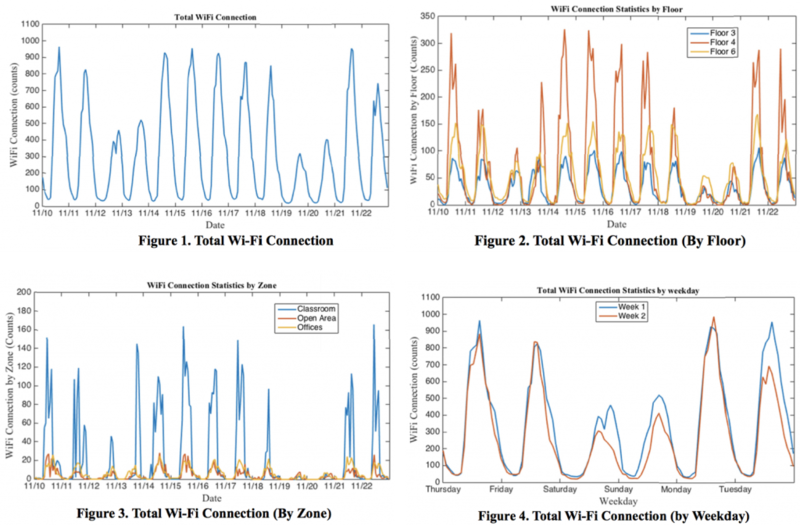 WiFi-based occupancy detection and prediction approaches are investigated using a real-world case study, and an integrated framework for occupancy-based predictive HVAC optimization is proposed for future application. Parking can take up a significant amount of the trip costs (time and money) in urban travel. As such, it can considerably influence travelers’ choices of modes, locations, and time of travel. The advent of smart sensors, wireless communication, social media and big data analytics offers a unique opportunity to tap parking’s influence on travel to make the transportation system more efficient, cleaner, and more resilient. A cyber physical social system for parking is proposed to realize parking’s potential in achieving the above goals. This CPS consists of smart parking sensors, a parking and traffic data repository, parking management systems, and dynamic traffic flow control. If successful, the results of our investigation will create a new paradigm for managing parking to reduce traffic congestion, emissions and fuel consumption and to enhance system resilience. These results will be disseminated broadly through publications, workshops and seminars. Our research probes massive individualized and infrastructure based traffic and parking data to gain a deeper understanding of travel and parking behavior, and develops a novel reservoir-based network flow model that lays the foundation for modeling the complex interactions between parking and traffic flow in large-scale transportation networks. The theories will be investigated at different levels of granularity to reveal how parking information and pricing mechanisms affect network flow in a competitive market of private and public parking. In addition, this research proposes closed-loop control mechanisms to enhance mobility and sustainability of urban networks. Prices, access and information of publicly owned on-street and off-street parking are dynamically controlled to: a) change day-to-day behavior of all commuters through day-to-day travel experience and/or online information systems; b) change travel behavior of a fraction of adaptive travelers on the fly who are aware of time-of-day parking information and comply to the recommendations; and c) influence the market prices of privately owned parking areas through a competitive parking market. The current on-street parking system has long been inefficient for management. Information regarding occupancies and violations are usually difficult to acquire, although various sensing technologies have been utilized in modern on-street parking management systems. Relatively low reliability of sensors and the high expenses of installing and maintaining parking sensors make it not scalable. Moreover, parking rates for on-street parking is usually fixed, which is essentially inefficient, as the actual parking demand is fluctuating day to day. A flexible and dynamic price can increase the overall usage of parking resources in an efficient way. In this project, a non-sensor based parking management system is proposed. 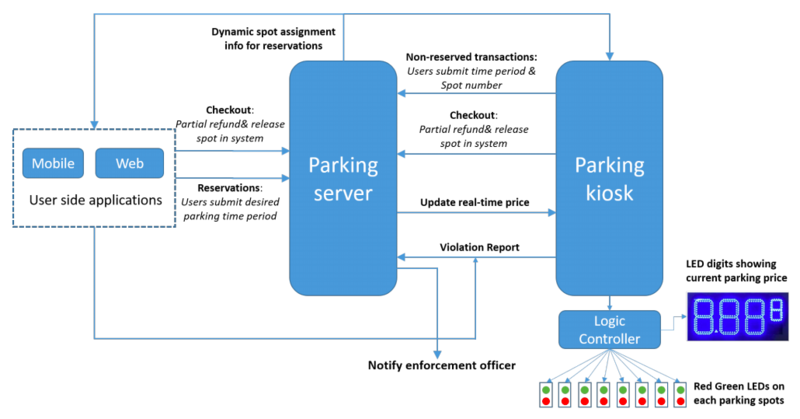 Comparing to traditional on-street parking management schemes, the proposed system is more advantageous in the following ways: (1) Providing better estimates for real-time parking occupancy without deploying sensors; (2) Applying dynamic parking rates based on both demand and supply. (3) Offering parking reservations via mobile or web; (4) Enabling convenience and straightforward parking payment; and (5) Allowing cheap and efficient parking enforcement. The effectiveness of traditional incident detection is often limited by sparse sensor coverage, and reporting incidents to emergency response systems is labor-intensive. We propose to mine tweet texts to extract incident information on both highways and arterials as an efficient and cost-effective alternative to existing data sources. This paper presents a methodology to crawl, process and filter tweets that are accessible by the public for free. Tweets are acquired from Twitter using the REST API in real time. The process of adaptive data acquisition establishes a dictionary of important keywords and their combinations that can imply traffic incidents (TI). A tweet is then mapped into a high dimensional binary vector in a feature space formed by the dictionary, and classified into either TI related or not. All the TI tweets are then geocoded to determine their locations, and further classified into one of the five incident categories. We apply the methodology in two regions, the Pittsburgh and Philadelphia Metropolitan Areas. Overall, mining tweets holds great potentials to complement existing traffic incident data in a very cheap way. A small sample of tweets acquired from the Twitter API cover most of the incidents reported in the existing data set, and additional incidents can be identified through analyzing tweets text. Twitter also provides ample additional information with a reasonable coverage on arterials. A tweet that is related to TI and geocodable accounts for approximately 5% of all the acquired tweets. Of those geocodable TI tweets, 60–70% are posted by influential users (IU), namely public Twitter accounts mostly owned by public agencies and media, while the rest is contributed by individual users. There is more incident information provided by Twitter on weekends than on weekdays. Within the same day, both individuals and IUs tend to report incidents more frequently during the day time than at night, especially during traffic peak hours. 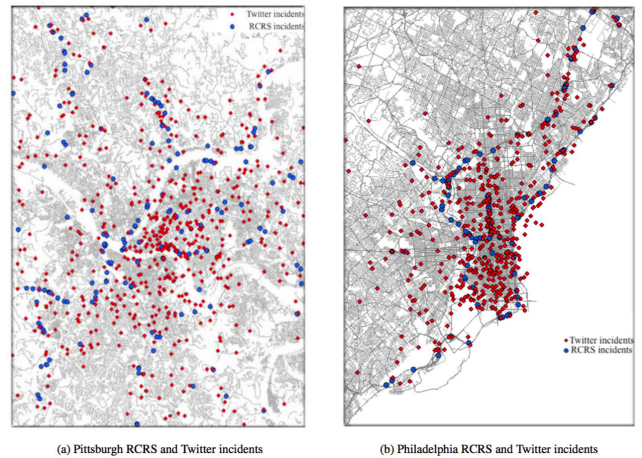 Individual tweets are more likely to report incidents near the center of a city, and the volume of information significantly decays outwards from the center. The Philadelphia Metropolitan Region is traffic data rich comparing to other metropolitan areas in the U.S. 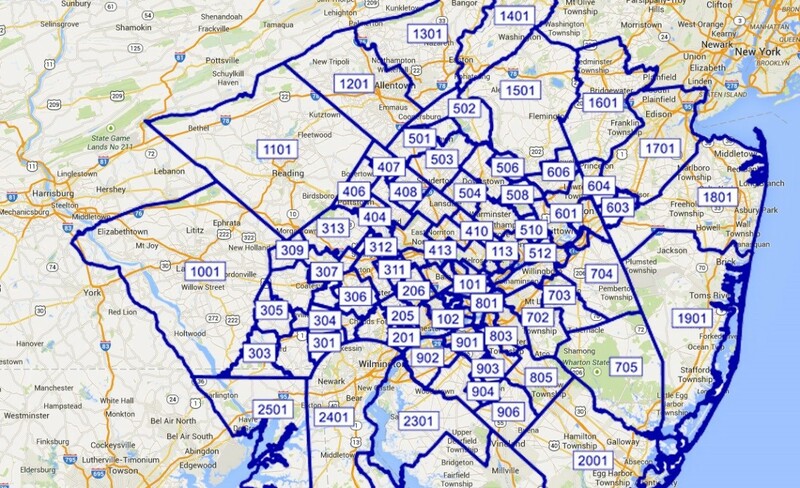 Various data sets in the Philadelphia region, including traditional traffic sensors (loops, cameras, etc.) and cutting-edge sensors (Bluetooth, GPS probe, parking, etc. ), are available and have been archived for a decade. The rich data sets allow us to learn travelers’ behavior accurately and develop an in-depth understanding of non-recurrent traffic in large-scale networks. 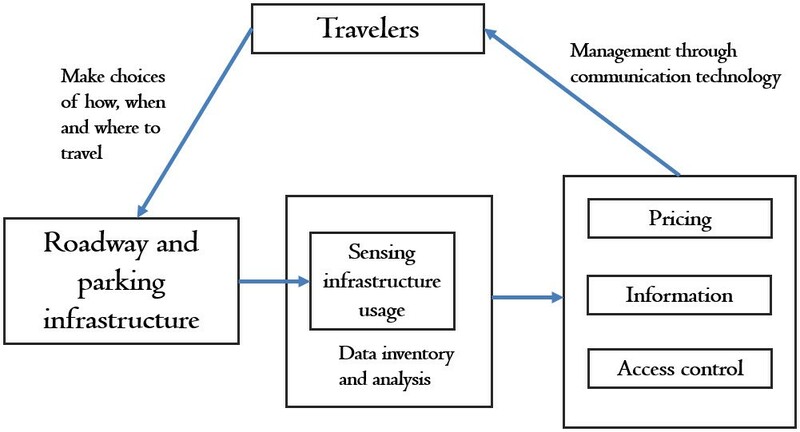 This research develops a regional dynamic network model that simulates millions of trips in the Philadelphia Metropolitan Region and captures those travelers’ travel behavior. It can be applied directly to predict traffic impact of planned and unplanned incidents, and provide real-time decision making for traffic operations. The regional model will also be tested as a real-time traffic management tool for two planned incidents, I-95 closures and Center City bridge closures. Landing page of Mobility Data Analytics WebUI.